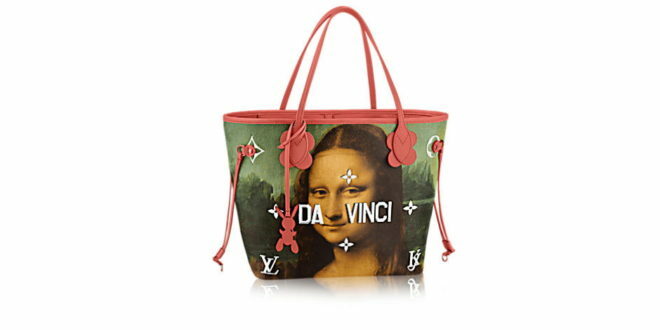 Louis Vuitton is teaming up with artist Jeff Koons for a new line of handbags starring classical paintings. Mona Lisa by Leonardo da Vinci, Young Girl Playing With Her Dog by Jean-Honoré Fragonard, Wheatfield With Crows by Vincent Van Gogh and The Tiger Hunt by Peter Paul Rubens have all been depicted on the items as part of Koons’ Gazing Ball paintings. Each bag also dons the original artist’s name in capital letters in gold or silver plating. Plus, Louis Vuitton’s iconic monogram has also been altered on the bags to ‘JK’, representing Jeff Koons’ initials. If you fancy getting your hands on one these, you’ll have to dig deep as the line is priced from $585 to $4,000.